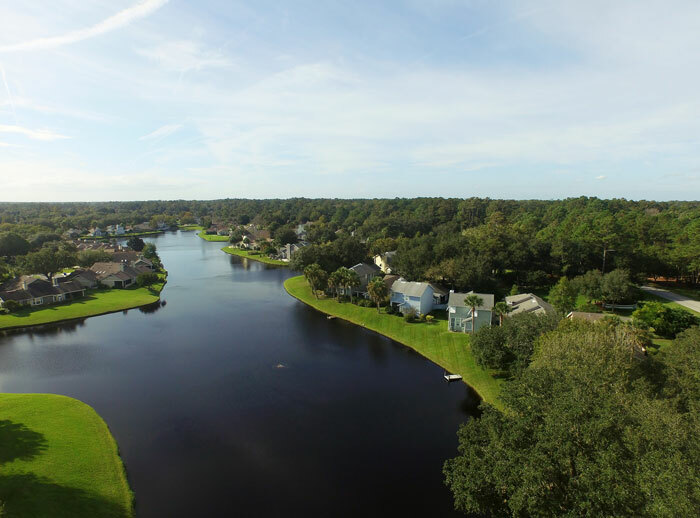 Azalea Point, a well-established community in the heart of Ponte Vedra Beach offers an RV and boat storage lot, while also featuring the typical comforts one expects from a Ponte Vedra Beach neighborhood. Approximately half of the 460 homes within the gated Master Association of Fairfield Ponte Vedra are in the Azalea Point subdivisions: Azalea Point I, Azalea Point IIA-D, Azalea Point III, and Azalea Estates (currently under construction.) These subdivisions are all governed by the Fairfield master homeowners association who also maintain all the common areas and various other subdivisions. Approximately half of the 460 homes located within the gated Master Association of Fairfield Ponte Vedra are in the Azalea Point subdivisions: Azalea Point I, Azalea Point IIA-D, Azalea Point III, and Azalea Estates (currently under construction). These subdivisions are all unincorporated and are therefore governed by the Fairfield master homeowners association as well as all common areas, such as lakes, roads, sidewalks, clubhouse, pools, RV lot, etc. shared by the various other subdivisions: Bay Hill, Bay Island, Carriage Homes, Club Cottages, Court Homes, Glen Eagles and Pool Villas. For alterations appearing on the outside of the home, approval is required from the Fairfield architectural review board. Most covenants require the preservation of existing trees wherever possible and docks are by written approval only. This community’s unique amenities make it stand out from the rest. Residents are issued keys that allow them exclusive access to the shared amenities of the community: clubhouse, restrooms, saunas, fitness room, RV/camper lot and tennis courts. Tennis courts are available to residents seven days a week from 6 a.m. to 11 p.m. The pools are open from dawn until dusk, and are closed from Monday afternoon to Tuesday morning for regular chemical application. Pool facilities include a family pool (children under 13 welcome with an adult), a smaller adult pool exclusively for people ages 18 and older as well as a hot tub for adults. The clubhouse facility consists of two meeting rooms - one small and one larger - with a combined capacity of 77. There is also a large picturesque patio deck immediately adjacent to the large meeting room. Adult residents may reserve the clubhouse for private social events – although children may have events at the clubhouse as long as two adults are present to supervise. The larger family pool is situated right on the water, making it a lovely getaway for families relaxing together. As the name would suggest, there are many gorgeous azalea bushes throughout the community that bloom all spring and summer long, providing a breathtaking backdrop of pink, red and white. Within the Azalea Point neighborhood you’ll see herons and other beautiful large birds. Generous paths can be found throughout the communities that make it easy for bikers, joggers and walkers to take advantage of the mild Florida weather. When things heat up here, it’s still easy to get outside as many of the paths are heavily shaded by the graceful moss-draped limbs of decades-old oak trees. You’ll also find plenty of palms, pines and even maples that change beautifully with each season. Landscaping is tidy and well maintained, with common areas of the neighborhood boasting some beautifully composed traditional landscaping that blooms year round. There are plenty of lakes, ponds and waterways that are open for canoeing and kayaking, as well as fishing. Many of the waterways are actually stocked by the community with carp that help to control algae growth and preserve the beauty of the water. All fishing within Azalea Point is catch and release only. For a closer look at this community, visit the Azalea Point – Fairfield Facebook Community or contact Jack McCarthy 904-607-4196 or Matt McCarthy 904-536-8113.